Looking for something to do with the overload of squash this winter? 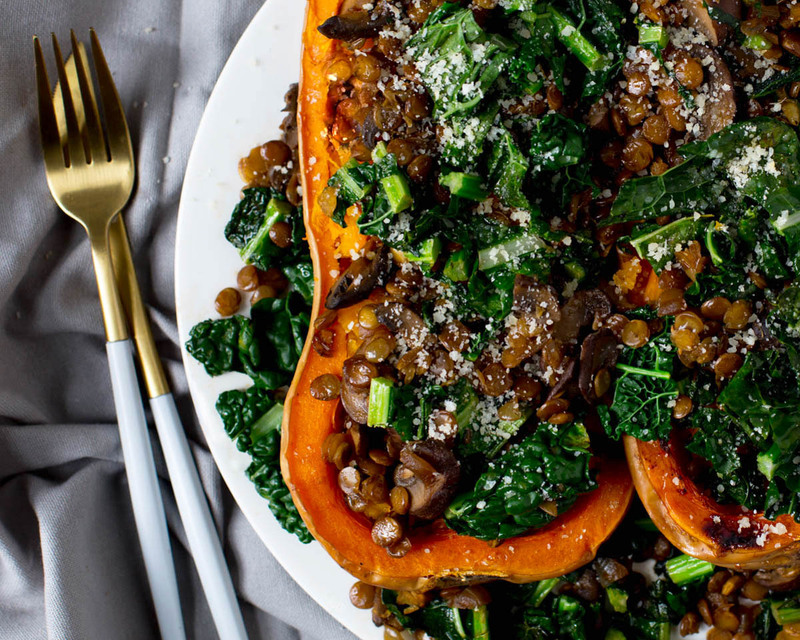 This Stuffed Butternut Squash with Stewed Lentils makes for a toasty meal and provides the perfect touch during these chilly, winter months. I’ve been bingeing on the squash this winter, so here is just one more recipe to prove it. 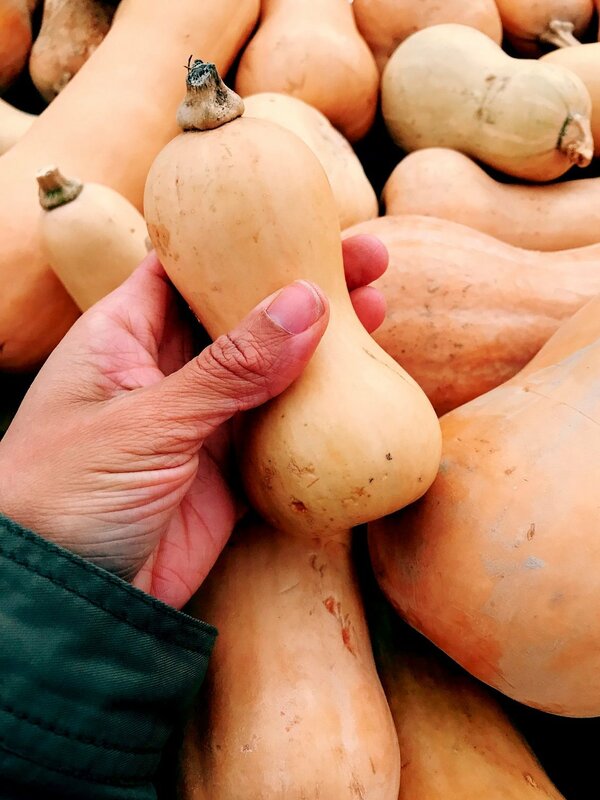 If you are not familiar with butternut squash, it is usually a beige colored gourd with a similar taste to sweet potato. Butternut squash is also full of important nutrients that fall in the carotenoid family. Carotenoids are red/orange veggies that are a fantastic source of magnesium, potassium, vitamin A, vitamin C, and other antioxidants to keep you healthy throughout that flu season! 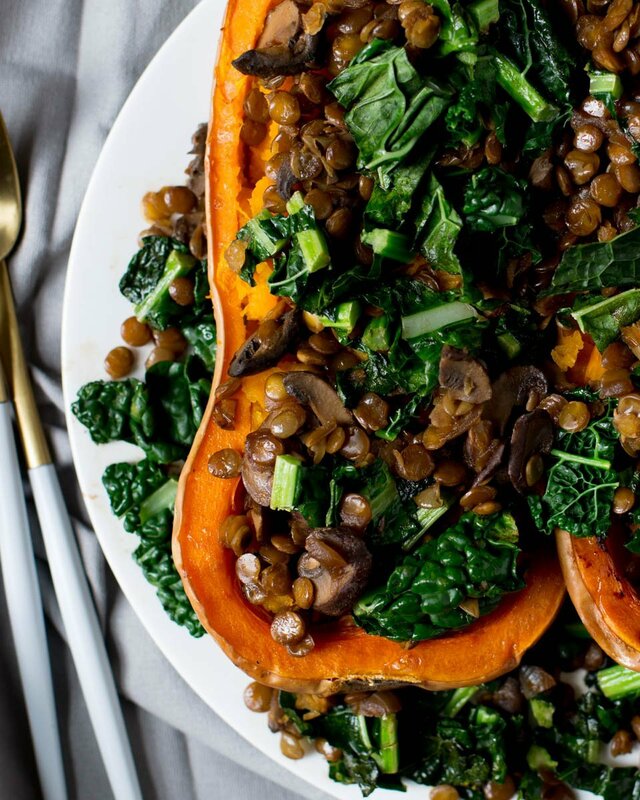 As if the butternut squash weren’t nutritious enough, we’re throwing in some kale and lentils too. Kale falls into the category of dark green leafy vegetables, which are loaded with nutrients. Kale is a powerhouse full of vitamin K, A, and C, folate, B vitamins, copper, manganese, and fiber. 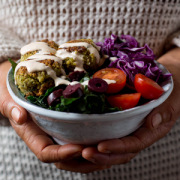 Just one cup provides your daily value for vitamin A and vitamin C for the day, so this recipe is exactly what your body needs to stay healthy! 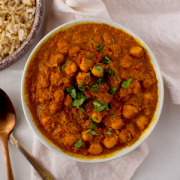 Similarly, beans are often overlooked as a superfood, but they are one of our absolute favs. Lentils contain about 16 grams of dietary fiber per cup, which is 24% of the recommended daily value. They also contain about 18 grams of protein. Start off by preheating the oven to 400F. Slice the butternut squash in half, lengthwise, and scoop out the seeds. Then place the squash face down on a baking dish and add 1 cup of water to the bottom of the dish. Bake for 40 – 50 minutes, or until the flesh of the squash can be easily pierced with a fork. While the squash is in the oven, heat 2 teaspoons of olive oil and add the ginger and onion. Sauté this for 1-2 minutes, add mushroom and tamari and continue to cook for another couple of minutes. Add in the dry lentils and vegetable broth and lower the heat to cook for 25-30 minutes with the lid on or until the lentils are tender. If you notice that the lentils are drying out, add more broth as needed. Once the lentils are done, turn off the heat and add the kale, and allow it to steam with the other ingredients for another couple of minutes. Salt kale, to taste. Once the squash is done, allow to cool, and then using a fork, mash the insides. Sprinkle a dash of salt to bring out the squash flavor and stuff with the stewed lentils and vegetables. Top with 1 teaspoon of olive oil, salt to taste, and (optional) parmesan cheese. Enjoy! This recipe tastes great on its own or you can also top it with this delicious mushroom gravy! Geez…just describing this dish makes me feel warm and cozy. Pair with your favorite fuzzy socks and prepare to melt all of your troubles away! How simple and easy does this sound? Let us know what you think of our Stuffed Butternut Squash w/ Stewed Lentils in the comments below! Preheat the oven to 400F. Slice your squash in half lengthwise, and scoop the seeds out. Add the squash face down to a baking dish, add the water to the baking dish, and bake for 40-50 minutes (or until you can easily pierce the squash with a fork). While the butternut squash is baking, heat the olive oil in a medium pot. Add the ginger and onion, and cook for 1-2 minutes. Then add the mushrooms and tamari, and cook for another couple of minutes. Add the dry lentils and the vegetable broth. Lower the heat and cook for 25-30 minutes with the lid on or until the lentils are tender. Add more broth as needed, if the lentils are drying out. Once the lentils are done, turn off the heat, add the kale to the pot, and let steam for 5 minutes with the rest of the ingredients. Once the butternut squash is done, remove from the oven, flip over, and mash the insides up. Sprinkle a dash of salt to bring out the squash flavor, and stuff with the cooked lentils and vegetables. 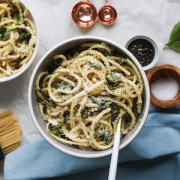 Drizzle olive oil, salt to taste, and top with grated parmesan. Enjoy! This recipe tastes great on its own or you can also top it with this delicious mushroom gravy!